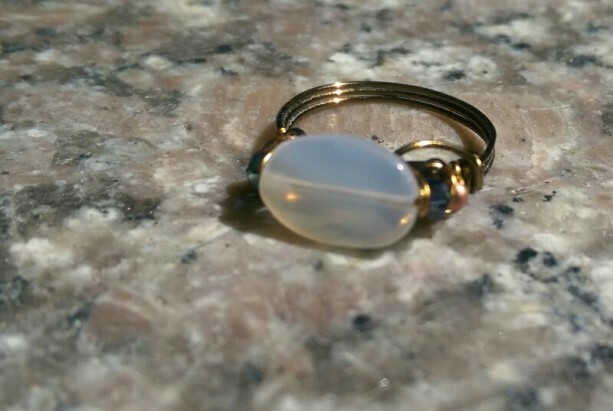 This ring is a simple yet elegant wirework, featuring a single moonstone oval bead flanked by authentic Swarovski crystals. It fits a 7.5-8 finger nicely. If you're not certain of your ring size, I suggest the sizer at https://www.jewelrywise.com/tools-resources/ring-sizer. Should it turn out you like the look of this ring but need it in a different size, contact me about a custom piece!